“ When it comes to obtaining vital records from the United States with the ultimate goal to present such documents in a foreign country, certified copies are a must. Certified Copy of a Birth Certificate must be obtained from the appropriate government agency in order to be eligible for international use. Each state has their own set of rules and procedures governing the retrieval of the Certified Copies of Birth Certificates. Such differences may be as simple as the fee the states collects for the service, or may include different types of Certified Copies of Birth Certificates, including long forms, exemplified records and pen-in-hand certified copies. 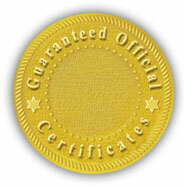 The authentication certifies the signature and capacity of the official who executed the document. The New York Secretary of State authenticates public documents for use in foreign countries. 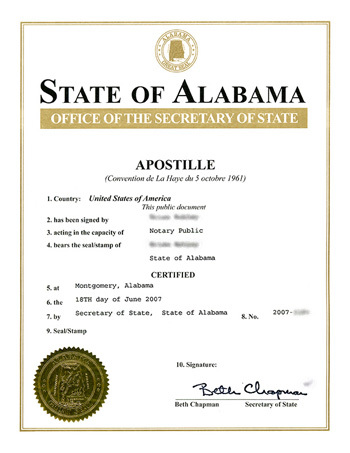 One such proof is known as an apostille, which is issued pursuant to the 1961 Hague Convention Abolishing Requirement of Legislation for Foreign Public Documents. If two signers appear before the notary at the same time, the names may appear on the same certificate. Documents which are destined to be presented in a foreign country must undergo a procedure of authentication.